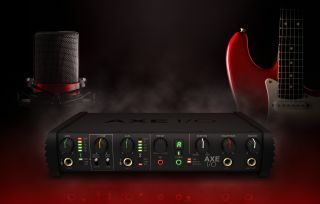 NAMM 2019: IK Multimedia has announced the AXE I/O, a high-end audio interface and controller with unique advanced guitar tone shaping capabilities. There’s also more than 150 guitar and outboard effects from IK's AmpliTube and T-RackS packages, Class A PURE and JFET circuits and a Z-Tone impedance-adapting circuit that allows users to adjust the input impedance of the unit to interact with an electric or acoustic guitar's pickups with increased tonal flexibility. The AXE I/O is available for now $349.99.